Four years ago at a Security Exhibition at a local hotel in Gloucestershire, The Crypt School picked up a leaflet from Secured by Design (SBD) for Schools. The school sits on a vulnerable site, surrounded by fields and had been having many break-ins. They had spend money repairing windows and replacing stolen goods and were fed up paying good money out for ineffective security. John Payne, The Crypt’s Business Manager and Hazel Baldwin, the school’s finance officer visited this event. There were Crime Prevention Officers there from Gloucestershire Police to give advice and the school was very impressed. This set one of the oldest schools in Gloucestershire on a path to become the first Secured by Design School in that county. John Payne and Hazel Baldwin had visited the event just after finding all the computers from their new IT building on the pavement outside and just a fortnight after the IT building had been completed. We took a lot away from that roadshow. We identified the problem and went out and found a solution, taking a practical approach as we were fed up with paying good money out, as a result of break-ins. 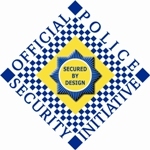 The objective of a Secured by Design School is to reduce the opportunity for crime and anti social behaviour and reduce the fear of crime in schools. The Crypt had suffered vandalism and break-ins and felt that their budget would be better spent in prevention and felt there had got to be something better than mesh grilles. The Crypt has a long and distinguished tradition dating back to 1539 and is one of the oldest schools in Gloucestershire. It is a high performing specialist school with specialisms in science and languages. The school is proud of its community and aims to ensure that every pupil achieves their potential and leaves school fully prepared for and confident in facing the challenges of life. Most importantly the school wants its pupils to feel valued, cheerful and secure at school. The Crypt School was the first school in Gloucestershire to achieve the coveted ‘Secured by Design Award’. This high security rating was approved by Gloucestershire Constabulary’s Crime Prevention Design Advisor. Secured By Design (SBD) is the Association of Chief Police Officers (ACPO) preferred security accreditation; security products specified and used to build these schools have been tested in stringent laboratory conditions to ensure the level of security, once complete the building is inspected by the Crime Prevention Design Advisor (CPDA) before the building can be awarded a Secured By Design certificate. When awarding any school with the Secured by Design accreditation, the Crime Prevention Design Advisor uses the Secured By Design published guidelines entitled “Schools – 2010”. This publication when used with the history of reported crimes in the area, an assessment of the built environment and landscaping surrounding the proposed design; leading to a careful consideration of the designs. The comments made by the CPDA will form the areas of concern which need to be addressed by the design in order to provide a usable building that offers safety and security to all staff and pupils. 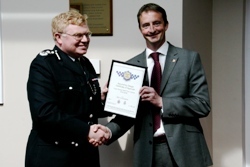 In 2008 Gloucestershire Police became involved in the Sixth Form and Learning Resources Centre at The Crypt, Gloucester. This new annex to the main campus wanted to address the risk of burglary and theft, also working to prevent the continual abuse of the flat roof on the adjoining school buildings. 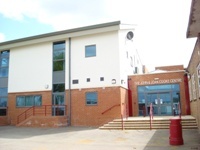 This inherent problem was compounded by the various climbing aides around the building, through close consultation with the school, architects and builders a solution was found and the Sixth Form block was awarded a Secured by Design award in 2009. The school chose Security Blinds’ product, Secur™ to achieve this high level of security required for the more vulnerable windows (with access from the roof) because it has achieved Secured By Design specification standard and because it looks so good. John Payne, The Crypt Sc.